Mary 'Moth Monarch' Capaldi is creating Art! Hello! I'm an independent and freelance artist, and I draw a variety of types of art featuring animals, particularly insects, as my subjects. 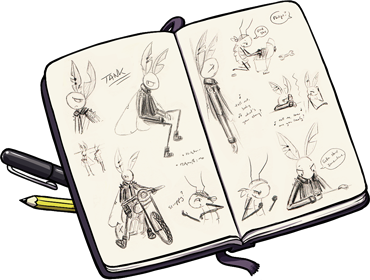 I love designing characters and coming up with new ideas and designs to delight and inspire my audience. However, it's difficult to make a living as an independent artist, and I must currently devote a significant portion of my creative energy to commissioned work to support myself. 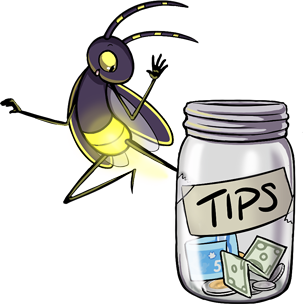 With your help, I can put more time into creating the unique projects so many already enjoy, from cute bug doodles to comics and illustrations! Eventually I would be able to work toward larger goals thanks to your support! I'll also be able to afford better supplies and equipment, which will help me work faster, get more done, and allow me to pursue more opportunities to study and collaborate with scientists and fellow artists (inspiration is everywhere!). When and how will I get the rewards for my pledge tier? Rewards for each pledge level will be processed and sent after pledges go through each month to ensure fairness - so a June pledge is charged and fulfilled in early July. Access to digital rewards, such as the sketch pack or coupon code for my shop, is sent via Patreon messages. 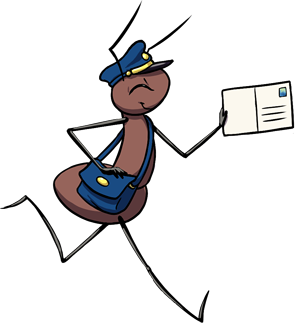 Physical rewards like the postcard or Bug Club gifts are mailed to the address you specify. I'm not up for pledging on a regular basis, but I'd still like to support you. How else can I do that? You can make a small one-time contribution through Kofi! And if you like what I do, tell others about it! Thanks so much for your attention and support - with your help, I can create many more things for everyone to enjoy than I can alone! Sweet, thanks! I'm grateful for any support. You'll get access to a my patron-only feed with a detailed monthly update on my projects and adventures! Receive access to my ongoing behind-the-scenes feed featuring regular posts of sketchbook scans, digital doodles, PSDs, future piece plans, entomology studies, WIPs and process images, and other cool art! At the end of each month you'll also get a Zip containing these and other images - 20 or more files every month! As well as previous tier rewards! You'll receive a signed collectible postcard print of my art in the mail every month! Requires a valid mailing address. First look at new products, designs, and artwork in process and before launch! A monthly gift mailed to you! Items will vary from merch to art prints & originals and will sometimes be exclusive to Patreon. Requires a valid mailing address. A monthly 10% off code for use in my shop on your entire order! Hitting this goal will allow me to spend more time monthly on my own projects and make more awesome stuff for you all! I'll be able to make some videos now and then about my process, inspiration, ongoing goals, and more. All patrons will be given the opportunity to ask questions. Patron names will be listed in the video as thanks with Sketchbook and up read out loud.